Some men are incredibly easy to shop for and upfront about what they're loving right now (FYI, this male editor falls in this group—if you want his list, just ask). But let's be real: Many dudes are the complete opposite and end every question of "What do you want this year?" with "Whatever, I don't care." In moments like these, it's easy to just get them that same old tie or pack of socks like you do every year, but what's the fun in that? There are actually a slew of other gift ideas the men in your life will actually love (regardless if they tell you in advance or not). To fill us in on what guys really want, we tapped menswear expert and U.S. editor of Mr Porter Dan Rookwood to spill on what to give the main men in your life this season—everything from cool accessories to must-have grooming kits to athletic go-tos. Go on to find the perfect present and impress that guy "who doesn't want anything." While many of the items coming your way are higher-end, check out a range of gift ideas we've assembled too. "You don't know who you might bump coming out of the guest bathroom in the middle of the night during the holidays, so it's wise to look respectable." "Perfect for gym bags and flight-friendly cabin luggage." "Because who doesn't love cheese at Christmas?" "We all need a bit of noise-isolating time to ourselves after a week with the extended family." "Leave everyone else's iPhone pics in the shade." "It will look masculine and tasteful on your bookcase." "The ultimate in understated cool." "It's always a nice gesture to turn up with a gift for your hosts, and a scented candle is never wrong." "This chopstick set is constructed by the finest Japanese craftsmen. It makes a great housewarming gift for someone with a new home." "Aesthetically pleasing games for refined family gatherings—because you can only play so much Cards Against Humanity." "Your dog deserves some festive love too." "This standout shirt would be the life and soul of any Christmas party." "This kit is filled with 12 essential grooming products worth trying and adding to his daily routine this winter." "The iconic image of the ultimate sporting icon." "Suddenly building flat-pack furniture and putting up those shelves you've been meaning to get around to for months becomes a genuine pleasure." "Make a healthy New Year's resolution easier to keep." "An affordable upgrade on your everyday tech essentials." "A festive jumper should be for life, not just for the holiday season." "A man can never have too many pairs of socks (and it's time to throw out the ones that are a little threadbare)." "A suitcase that is stylish AND durable, this carry-on suitcase has it all." 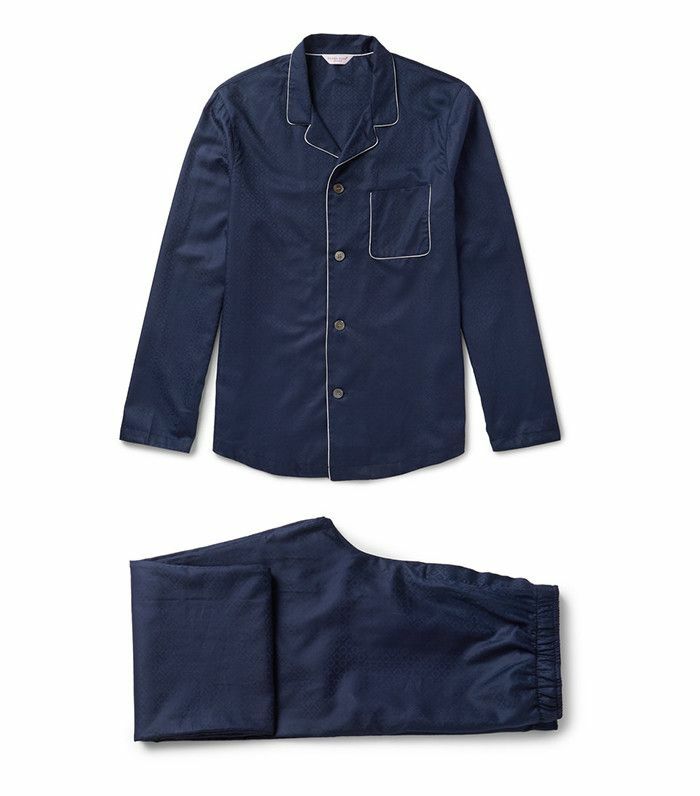 Check out more gift options at Mr Porter, along with travel and style tips with its Style Council program. Plus, you can shop a range of other presents under $100.